New music today from Grapetooth, boygenius, Karen O, Meshell Ndegeocello & The Raconteurs. Plus, we speak to Ben from The Smile Case about their upcoming new album and show in Ottawa this week. 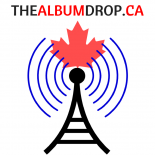 This entry was posted on January 8, 2019 by Phil Shirakawa in The Show and tagged alternative, boygenius, canadian music, grapetooth, indie, karen o, new music, the raconteurs, the smile case.